An HBCU just showed mad love to the LGBTQ+ community. 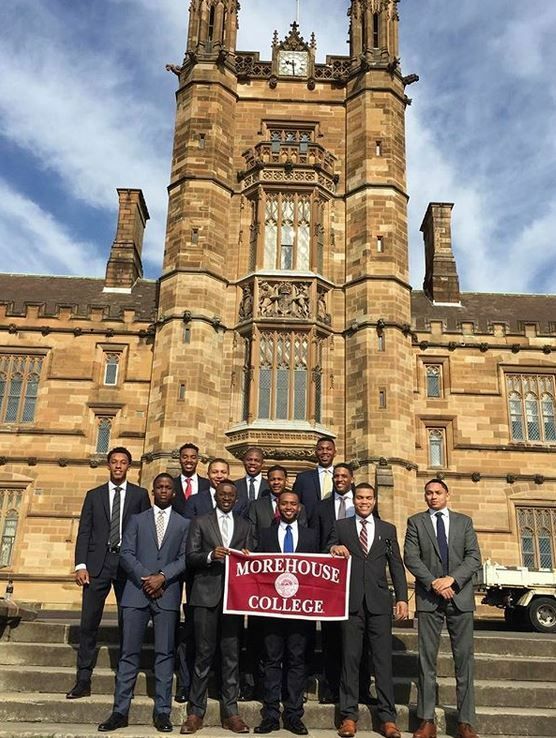 Morehouse College - an all-male HBCU school in Atlanta - will begin accepting applications from trans students who identify as men starting in 2020. According to a news release, the new policy has been dubbed as the Gender Identity Admissions and Matriculation Policy, and it will allow trans students to enroll in the private college by fall 2020. However, the school’s gender identity policy will continue to not admit anyone who identifies as a woman from enrollment. "Once admitted, students are expected to continue to self-identify as men throughout their matriculation," the news release reads. The policy also states that students who are admitted into Morehouse "are expected to self-identify as men throughout their education at Morehouse," the release states. If a student decides to transition from a man to a woman, that student would no longer be eligible to enroll at the all-male school. Looks like the school is following in the footsteps of its sister school, Spelman College (an all-women HBCU school in Atlanta). Spelman adopted a similar policy in 2017. Morehouse isn't the first all-male institution to adopt a policy like this. In 2016, St. John’s University, an all-male school in Collegeville, Minn., also put a policy in place for students who identify as male to be allowed to attend the school. Let's be real about Morehouse. In the past 20 years it has been as well known for its gay population as its academics, if not more. Morehouse appears to be the premiere destination for gay black students from privileged families. I think a Trans school president should be next. Thoughts?! Sound off in the YAPPA app below!